Attention youth and high school players around Phoenix this summer. 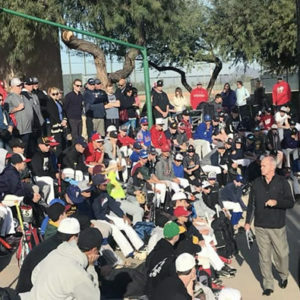 The 16th Annual Phoenix Area Baseball Camp is designed to provide players intense instruction in all aspects of the game. Our camps are known nationally for a "non-standing around" approach meaning players get the maximum amount of work in daily while receiving verbal assessment of their skills throughout the week. Our daily formats are written by directors with years of Professional baseball backgrounds and mirror a Spring Training type day. Huge reps and teaching all day long with live games mixed in. 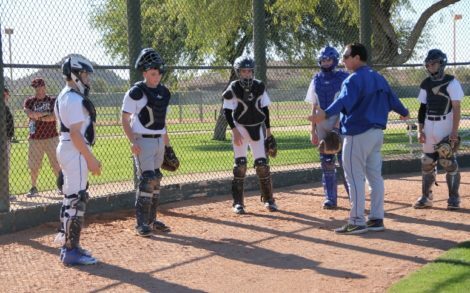 Our baseball camps in Arizona are staffed with former and current professional players, college coaches and scouts who are extremely experienced and share one common goal - to provide you with the tools you need to take your game to the next level and beyond. 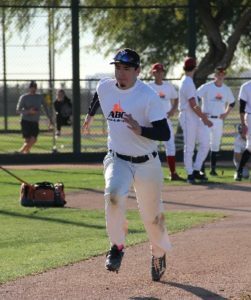 Eat, live and breathe the game with us while we train daily at ACU Firestorm Baseball Field in Phoenix, Arizona. We will be conducting an extensive Hitting Camp on June 24th from 2:00pm-6:00pm. This camp will cover every aspect of hitting and is a great way to "kick off" the week. For our out-of-town campers, we provide airport pick-up and drop-off at the Sky Harbor International Airport. All options are available on the Registration Page. *Please note if you choose to pay the Deposit, the balance will be charged automatically 2 weeks prior to the start of the camp on May 27th. 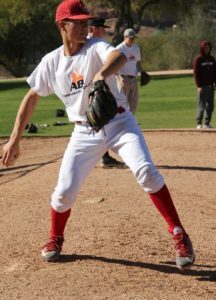 All Campers should check in at the main baseball diamond at Arizona Christian University by 8:30am on the morning of the 11th (hitting campers check in at Arizona Christian University by 1:30pm on the 10th). We will provide three meals a day for overnight campers and lunch will be provided at the fields each day for both the day and overnight campers. The city of Tempe is located towards the south west of Arizona, in Maricopa County and is considered to be a part of the Phoenix metropolitan area which is also bordered by the cities of Guadalupe, Scottsdale, Chandler, and Mesa. ASU, located in the heart of Tempe, has grown into one of the largest universities in the nation. Tempe is the place for experiencing all the outdoor activities and sports action you could ask for, from ASU athletics to baseball spring training schedules, there's always something to see!